You are here: Home / Stay with us! We’d be delighted if you stayed in our comfy cozy Airbnb space. During our first year of marriage, I can clearly remember Aimee telling me that it was a dream of hers to own a bed and breakfast somewhere. 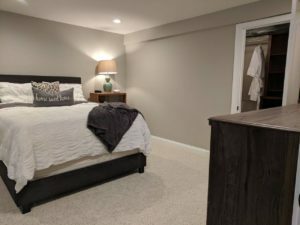 After finishing our basement in 2017, we thought it would be worth exploring the world of Airbnb hosting and to make the B&B more of a reality for my love.